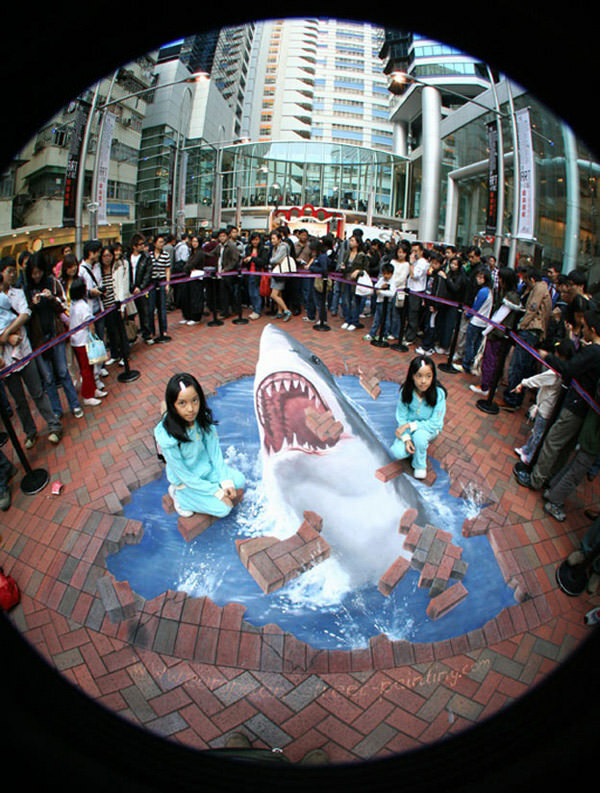 3D shark is a very funny street art designed by master 3d street artist Manfred Stader that looks like a shark is comes out from the surface of street by burst out the earth crust. But actually shark is not coming out of surface however it is designed with proficiency that wonders the viewers and creates fun for him. More than that area around the shark cover with water color that give real view.